I have been meaning to do a Layer of Profit Review for some time as I had heard good things about the service. First off, it is about lay bets only, which must be done on a betting exchange like Betfair. The lays are all favourites, but you will only receive one a day via email, so don’t expect your betting bank to grow quickly. They have a cut-off of 4.0 on all bets, so if the odds are above that then you void the bet, do not change the rules! The one thing that worried me was they advice to carry the bet in-running if the odds are above 4.0 before the off, as this can add a lot more volatility, however it seems to work well enough over the long term. They list the results on the site so you can check yourself if they are valid once you have signed up for the service, but my selections via email matched those on the site. As normal with laying though, you will get the odd day when you may void a bet yet another subscriber gets the bet on, that is the way with laying, but with only 1 selection a day that shouldn’t happen often. They do seem to have much better profits during the flat season for one reason or another, which is a surprise to me as it is far easier profiting from laying over the jumps for me as form is more reliable, even with our wonderful weather system! An email with the selection on should arrive in your inbox before midday, so if you work you will be able to place a bet at lunchtime. Betfair allows you to keep a bet you place in-running if it is not taken prior to the off so you don’t have to sit watching the market. You should manage an 83% SR over the long term with these selections, and over the time I tested them, around 100 selections, I finished in profit around 7 points after commission. Reviews on other trusted sites also show good profits. The only downside to 1 selection a day is that if you have 2-3 losing bets in a row or quick succession, it may a few weeks to make that back, but overall this service seems to be able to cope and produce profits each year. Remember that you will have 2-3 losing months a year with most laying systems/methods. If you want slow but steady profits then this is probably for you, if you want loads of selections a day then probably not. This service supplies you with football tips via email, and covers all matches in the UK and Europe. It concentrates solely on Asian Handicaps, which all bookmakers and betting exchanges cover, although you would still get slightly better odds over the long term on Betfair, you can manage well enough with a normal bookmaker account. As usual the guy waffles on a bit on his sales page, as I’ve done plenty of marketing myself I find it easy to see through all the gibberish, and as most people just want to know if something related to betting is profitable or not I don’t know why they bother with so much crap. With this football tipping service you simply get the tips via email and you place the bets on the Asian Handicaps. It is as simple as that. The site states a 87% SR, but according to my own stats, and those of others it is around 80%, but the site does not stats what period the 87% is over, and the 82% only covers a couple of months for me. Still, that isn’t a big issue as the bottom line is profits. So is it profitable? Well the smallest odds I had was 1.32, with the average being 1.83, but yes, after 2 months I was in profit, and so have others I have found on trusted internet sites. This product sells for just a one-off fee of £37, and you can start with a betting bank of just £50-£200. I am aware you get a lot of up sell in some of the emails, just ignore all of those, you only want the tips. I would also just keep staking at levels, do not do anything complicated, keep it nice and simple. 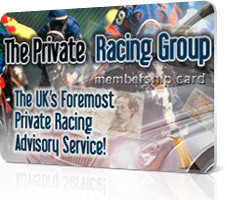 <p >All I can promise you is that once you have joined, The Private Racing Group, you will receive a straightforward and honest service and access into my group of private members receiving private horse racing tips. My private members then have access to all the bets I am having myself throughout the year. This would usually amount to around perhaps 25 bets in anyone year. It doesn’t sound that many bets in a whole year, does it? Actually 25 quality bets a year is all I want or need. I want the wheat sorted from the chaff, and to only invest when I have the best chance of returning a profit on my investment. That’s what my members want from me as well. I don’t even care what the odds are, and in 2006 and this year so far, they have ranged from evens to 16/1. This is more of a ‘racing club’ than anything else, but kind of an insider information service. You will not be supplied with a mass of tips on a daily basis, the average appears to be around 25 bets a year. The service is run by Ray Thomas, and although I do not know him personally he is a real professional gambler, and therefore knows what he is talking about. The fact he only supplies a few tips a year means he is supplying you with quality, some services supply quantity, and most of it crap to make it look like you are getting value for money! Because you only receive a few bets a year, this service is only for those who will be betting a minimum of £50+ on each horse, otherwise you will not be making much if you only bet normally with a fiver. If you do sign up for this service, remember to use a separate betting bank, so you know exactly how it is doing. This service has actually won an award for two years in a row, so Ray is doing something right.